You are here: Home / About / Better Strategy. Better Solution. As the global leader in alternative fuel solutions, we’ve put our 60+ years of experience to work in developing a better strategy manufacturing and logistics strategy that delivers a better solution. We simplify the logistics for ordering and taking delivery of natural gas-powered Ford fleet vehicles by offering one code Ship-Thru, industry-leading partners near Ford assembly plants, one invoice, and the best-in-class CNG system warranty. 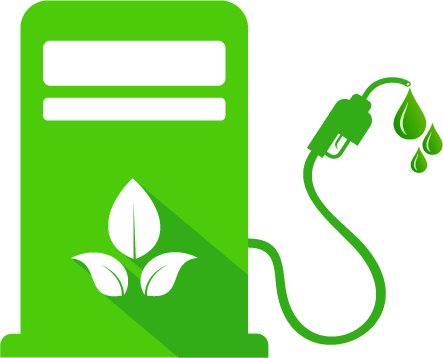 With more than 1 million alternative fuel systems sold globally each year, our volume and manufacturing efficiency makes it possible to offer your fleet customers a high quality alternative fuel system at for the most competitive price. Using our Ford Ship-Thru codes, fleet customers can specify a CNG system at the same time they order new vehicles – no extra steps or paperwork. When the base vehicle is complete, it’s transported to one of our strategically located manufacturing and installation facilities located near the Ford manufacturing plant where the Landi Renzo CNG system is installed, calibrated, and validated. Completed vehicles are put back into the Ford Ship-Thru system for delivery to your customer’s Ford dealer. There are no hidden fees, dealer invoice charges, extra transportation, or shipping costs because vehicles stay within the Ford distribution system from manufacturing to upfitting and final delivery. The CNG system and optional equipment is added to the total vehicle price, so your fleet customers receive one complete invoice. Landi Renzo technology transforms the power of clean, renewable CNG into an alternative to gasoline and diesel. As the Manufacturer of Record for Ford Eco-Ready Fleet™ vehicles, we engineer, manufacturer, and install a CNG fuel delivery and storage system specifically designed to operate as a OEM factory produced vehicle. All relevant performance and diagnostics parameters of the original system are calibrated to achieve maximum performance and reliability under CNG use. Our CNG systems are rigorously tested in a variety of conditions including elevation, cold climates, and hot climates and we refine calibration to produce the highest reliability and customer satisfaction in the market. Landi Renzo USA is a Ford QVM gaseous fuel system developer and installer and meets all the stringent requirements of the QVM program. As Manufacturer of Record for our CNG vehicle systems, we are accountable for ensuring vehicles equipped with our systems meet FMVSS safety requirements. Plus, the vehicle powertrain and Ford warranty remain intact, and carries the industry’s leading warranty (3yr/50,000 miles).